Is it a swing? Or a high chair? Our recent score at the Salvation Army left us a bit baffled. It was only a fiver… But we didn’t know quite what it did. We just liked the rooster on the side and the fact that it seemed old. 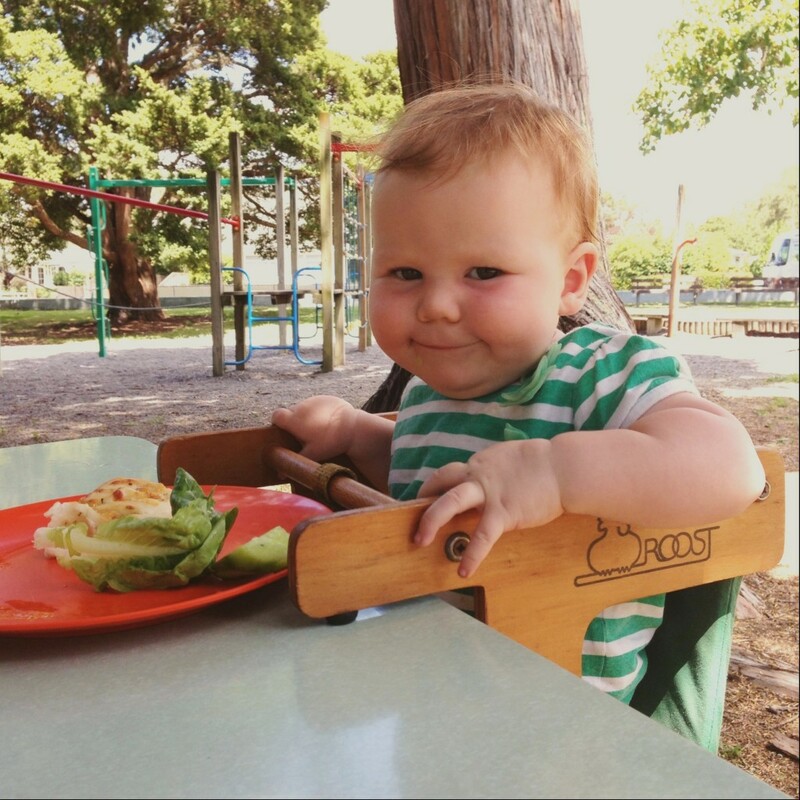 We worked it out though and turns out it’s not JUST a swing or JUST a high chair. It is both! 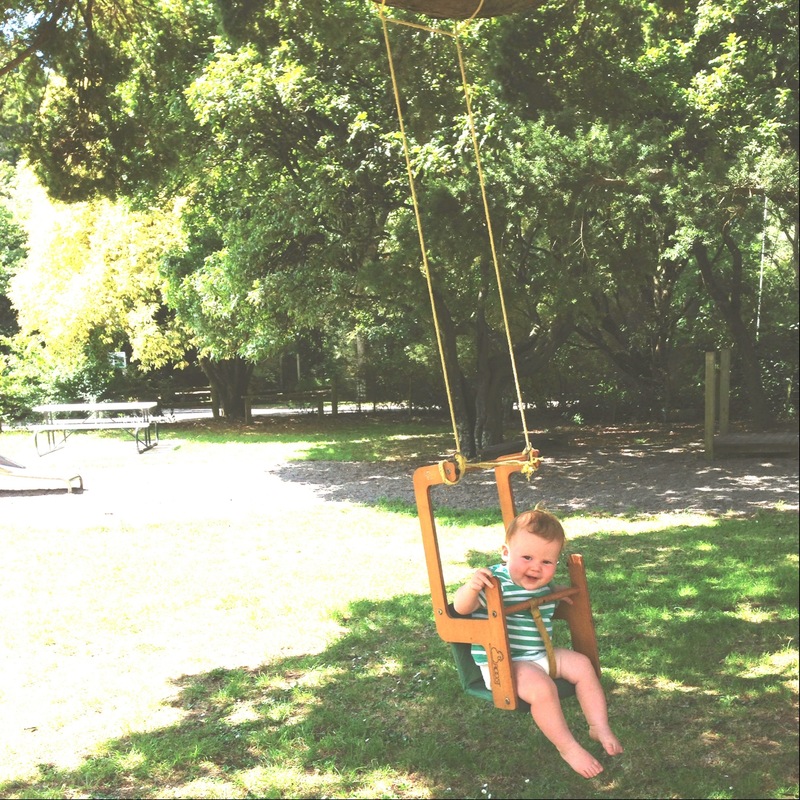 Find a branch and hang it on- a super cool swing! And then you just flip it round and place it on a table and it becomes a high chair. The length of the top part of the swing goes underneath the table to secure it perfectly onto the table. It is awesome! A design that should be famous! Although maybe it mostly appeals to families like us that live in buses who need to make every item count – twice if possible. We are also reliant on our sofas that become nocturnal beds. Multi-use items are most undervalued don’t you reckon? Every camper worth his salt owns a Spork- all three items of cutlery you need in one. And every SAS soldier carries a condom that can double up as an emergency water carrier. What is YOUR favourite thing that is also another thing? Linking up with Magpie Monday and Op Shop Show Off. Adorable Juno! I love a weird charity item that probably came from the 70s/80s – you’re not quite sure what it is, but it’s not the giant lump of plastic that so many kids toys seem to be these days and it looks, well, *interesting*. Oh my life! How did that design not become world famous? Hell, I want one! Also, weird seeing Juno on food other than the boobie! Oh my goodness, that is fantastic! I have cake forks with a knife edge i love anything which lessens washing up!